First presented in the UK in 1997, Sir Matthew Bourne's production of Cinderella set to Prokofiev's gorgeous Cinderella ballet score has been revised and re-designed since, and is now playing a limited run at Los Angeles' Ahmanson Theatre (through 10 March 2019). Matthew Bourne’s “Cinderella” is a thrilling and evocative love story set in London during the Second World War. 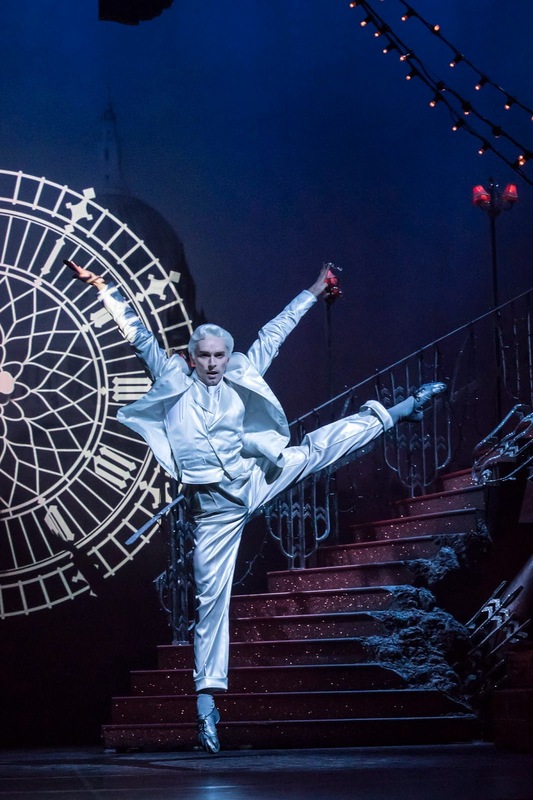 Matthew Bourne’s interpretation of the classic fairy tale has, at its heart, a true war-time romance. 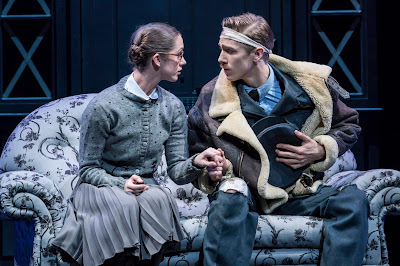 A chance meeting results in a magical night for Cinderella (played on opening night by Ashley Shaw) and her dashing young RAF pilot (played on opening night by Andrew Monaghan), together just long enough to fall in love before being parted by the horrors of the Blitz. Their story was helped along on opening night by a colorful and very talented cast including Liam Mower as The Angel (Cinderella's new "Fairy Godmother"), Madelaine Brennan as Sybil, the Step-Mother with a colorful and luminous stage presence always drawing your attention with her every movement, and Alan Vincent in a subdued and limited role as Robert (Cinderella's Father) with some of the most gorgeous moments shared with Ashley Shaw during Act One. A single gesture of his arm was heartbreaking and being a disabled reviewer I loved that Bourne wasn't afraid to put a principal in a wheelchair. Vincent also doubled as Alphonso, the Bandleader, where he gets to show off his comedic styles and dancing skills. And special props to the very strong male ballet corp who had several great chances to shine during Act One. 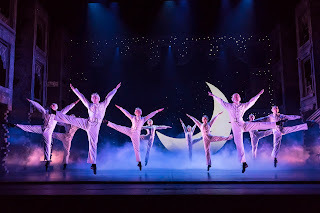 The Ballet Corp of Cinderella. Photo Credit: Johan Persson. Ashley Shaw is perfection as our girlish, sprightly, and determined heroine. She has excellent chemistry with everyone, in particular her leading men - Alan Vincent, Andrew Monoghan and Liam Mower. From her slightest movements to the most gorgeous sweeping moments she is always in character and it is impossible to tear your eyes away from her. And it is actually her be-speckled and feisty Cinders that wins both the heart of the RAF pilot and the audience long before she puts on the gorgeous and sumptuous Lez Brotherston ballgown. 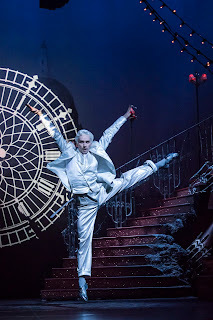 Liam Mower, who rose to prominence playing the original Billy Elliot in the West End, is fabulous offering a beautiful and distant portrayal as The Angel moving the action along and evening moving time back in a stunning scene in Act Two at The Cafe de Paris nightclub. His movements are classically flawless. 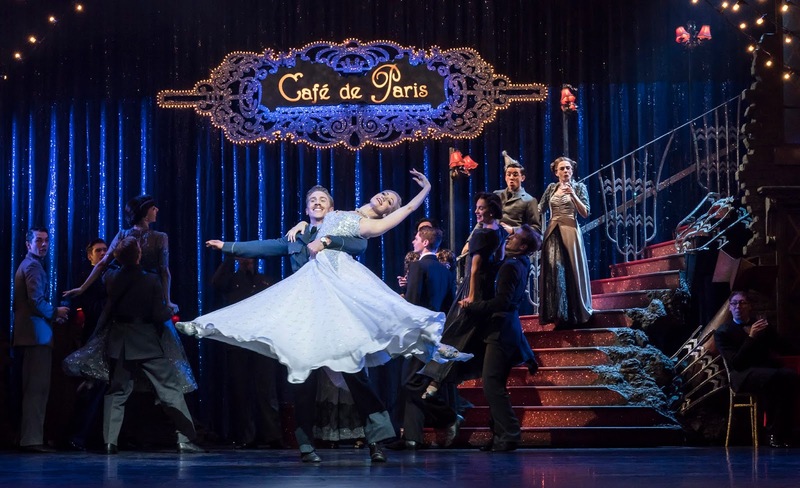 Matthew Bourne has breathed new life into the tried and true story of Cinderella. His storytelling is heartwarming, comedic and sublime. I don't know how many synonyms I can use for perfection to describe this sensational production. It is one where I never once was desperate for dialogue or a more detailed plot synopsis. 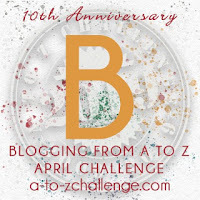 The use of 1940 London as a background was well developed and felt authentic with a damaged RAF pilot replacing the traditional one-dimensional prince charming, an embittered and alcoholic step mother, and the brilliant use of Cafe de Paris (the glittering playground of Mayfair socialites that was destroyed by the Nazis in 1941) as the setting for our enchanting evening. Ashley Shaw and Andrew Monaghan. Photo Credit: Johan Persson. Prokofiev's ballet opus 87 deserves a standing ovation itself as performed in surround sound, designed by Paul Groothuis and featuring a specially commissioned recording played by a 60-piece orchestra. 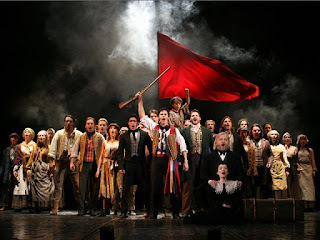 The sound was so well pumped into the Ahmanson Theatre that my friend and I had to ask ourselves if there was live music. I had never had the pleasure of surround sound at the theatre and it was mesmerizing and not in the least bit distracting or disappointing. With Lez Brotherston’s sumptuous costumes that flowed effortlessly and transforming sets that includes shattering buildings and lighting by Neil Austin with a terrific use of flashlights by the male ballet corp, the sights and sounds of war-torn 1940 London (thanks to Duncan McLean's spectacularly high quality projection design) come to life on the Ahmanson Theatre stage. 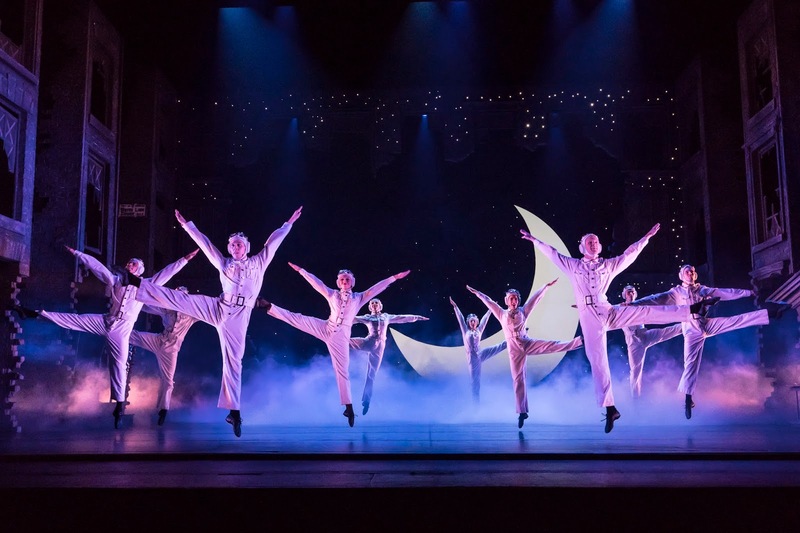 Regular Performances (February 7 – March 10): Tuesday through Friday at 8 p.m., Saturday at 2 and 8 p.m., Sunday at 1 and 6:30 p.m. No Monday performances. Tickets are available online at CenterTheatreGroup.org, Audience Services at (213) 972-4400 or in person at the Center Theatre Group Box Office. Deaf community: Information and charge, visit CenterTheatreGroup.org/ACCESS. Accessible Seating Suggestion: Seating in Row A of the Mezzanine offers substantial leg room and no need to access stairs. Accessible (Valet) Parking: Use the Hope Street entrance. Those properly displaying a handicapped placard pay $9 (same as garage admittance) for valet parking and have a much shorter walk to/from the theatre. Without a placard, it is $23 per car. Garage Parking: Self parking is available at $9 per car using the North Grand Avenue entrance. The garage sometimes fills up on dates when all three theatres at The Music Center are operating so plan accordingly allowing extra time. Accessible Access from the Garage: To arrange mobility services from the garage to the Ahmanson Theatre, please contact The Music Center Access Disability Line at 213.972.0777.